Good news first. More than 30 talukas (or sub-districts) across North Karnataka have managed to be revive groundwater level in the past one decade. During the ongoing assembly session, Minor Irrigation Minister T B Jayachandra said that about 34 of the 176 talukas have seen improvement in the groundwater levels. These talukas are mostly located in Ballari, Dharwad, Gadag, Kalaburagi and Koppal districts. Out of the five taluks in Gadag, groundwater levels have improved in three. Shirahatti taluk, for instance has seen water level rising from 16.25 metres to 8.08 metres. When the local authorities started filling 26 lakes in Gadag district through Malaprabha canal, groundwater table was recharged automatically. The Bhishma lake was desilted and it was filled with water. Due to the rejuvenation of the lake, water has now become available in around 200 borewells in this area. They had all dried up few years back. Ballari district, too, has shown promising results. Out of the seven talukas, groundwater levels have improved in four of them. But this story of reversal of fortune is not true for most talukas in the state. On the World Water Day on March 22, the government admitted that the groundwater levels in more than 140 of the total 176 talukas in the state have depleted due to overexploitation. A comparative study of water levels in 1,774 borewells between 2007 and 2016 revealed depletion, with Kolar taluka in Kolar district registering the worst depletion: a fall by 54.81 metres in the last 10 years. Deforestation, consecutive droughts and the state’s fixation with borewells are among the major reasons for this depletion. Recently, the Rural Development Minister H K Patil said, “We will adopt technology even to draw water from Pathala Gange (netherworld) to ensure the supply”. In February 2017, the state government revoked its earlier ban on drilling borewells and ordered drilling of as many borewells as possible in 65 talukas of 20 districts. The ground situation is alarming in areas where the Bangalore Water Supply and Sewerage Board (BWSSB) has no pipeline network. People depend on individual borewells, but most of them have dried up. 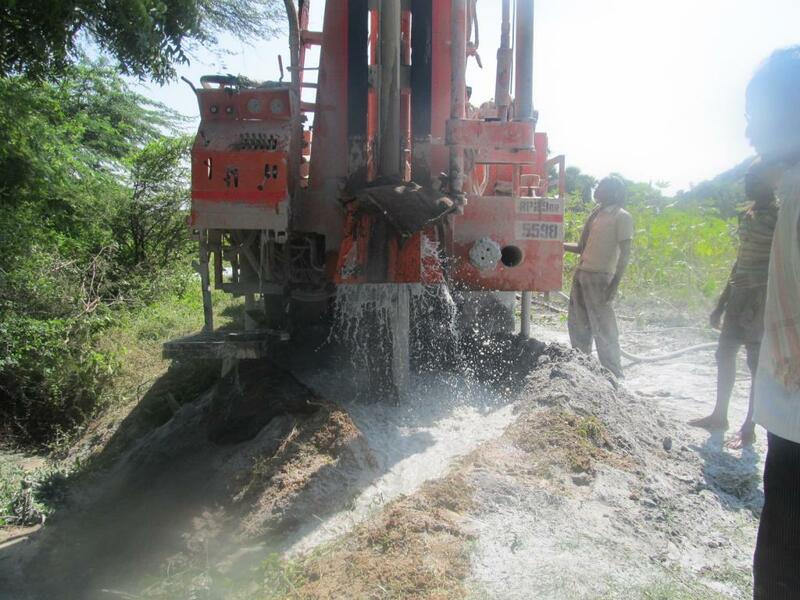 The BWSSB’s contingency plan is to drill more borewells after its own survey revealed that 938 out of 7,920 borewells in the Bruhat Bengaluru Mahanagara Palike (BBMP) limits have become non-functional. The government now wants to drill 400 more borewells. “In Chitradurga district, one gram panchayat with 10-12 villages has dug about 52 borewells within a span of two months. Similarly, in Channagiri taluka of Davangere district, where most farmers are choosing areca farming, Rs one crore is being spent every day to dig borewells with 58 drilling machines working round the clock to dig borewells at a depth of more than 1000 ft. Despite all this, the failure rate is more than 90 per cent,” says NJ Devaraja Reddy, Hydrogeologist and Rainwater Harvesting Specialist at Geo Rain Water Board. Referring to the various government schemes that had cost exchequer a huge sum yet failed to take off, Reddy says, “In 2002-03, the government launched ‘Suvarna Jal ‘project for installing rainwater harvesting structures in more than 26,000 rural schools at a cost of Rs 80 crore. More than 15 years have passed and now not even a single structure is functional. The project failed to kick off in the initial stage. In the 2017-18 state budget presented on March 15, the government announced only Rs 3,789 crore, mostly to repair canals and rejuvenate water bodies. The government also proposed construction of canals in Cauvery basin at an estimated cost of Rs 509.55 crore. How is Coke-Pepsi boycott in Tamil Nadu linked to concern over groundwater depletion?